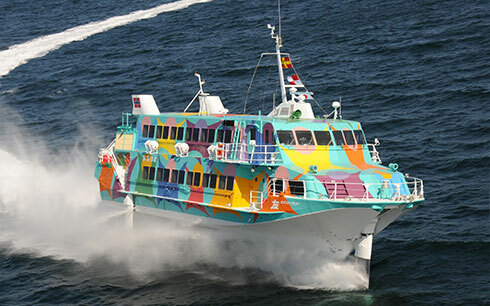 Jet foil is the official name for the ship type used for the high-speed jet ferry Seven Islands. This ship, developed by a US aircraft manufacturer, is a veritable “jet aircraft of the sea” that uses a jet engine to take in seawater (in place of air) and drive it backward with such force that the vessel is lifted right out of the water. 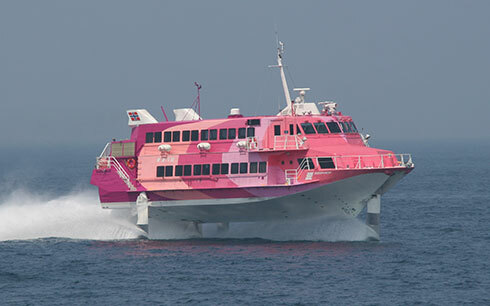 The main difference between the jet ferry and hydrofoil vessels is as follows. 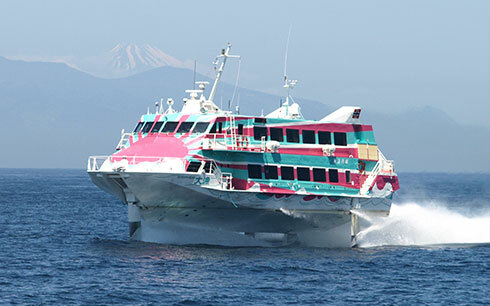 Conventional hydrofoil vessels are semi-submerged hydrofoils where a portion of the hydrofoil wing juts out of the water. 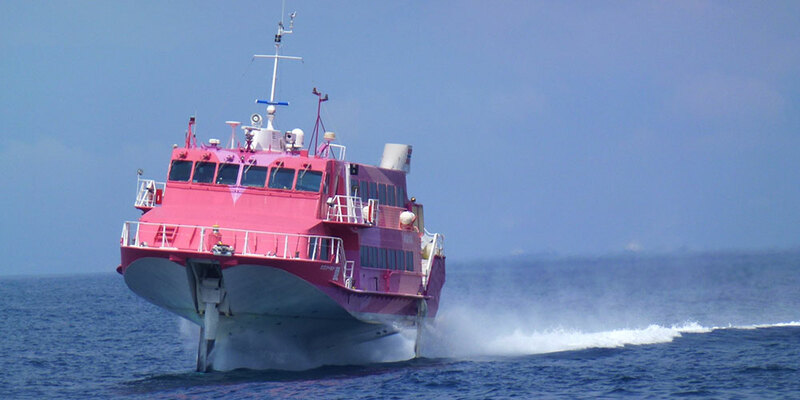 By contrast, the high-speed jet ferry Seven Islands is a fully submerged hydrofoil vessel where the hydrofoil wing is completely submerged. This difference results in greater stability at high speed, to achieve a smoother journey. This is a ship design that puts top priority on safety and comfort. 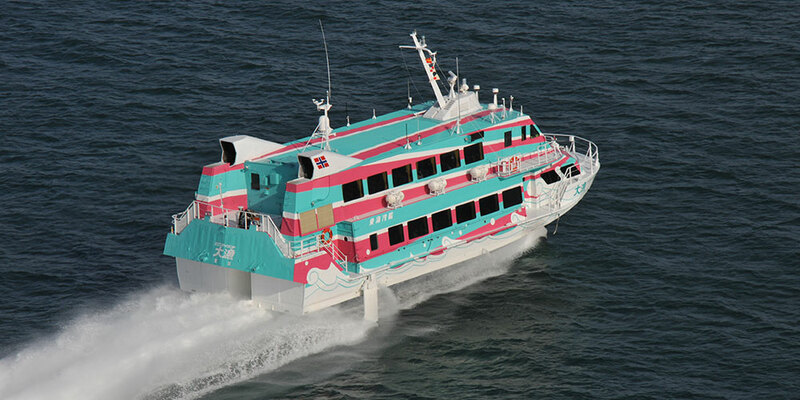 The high-speed jet ferry Seven Islands is equipped with the same attitude control system devices as those found in jet aircraft. 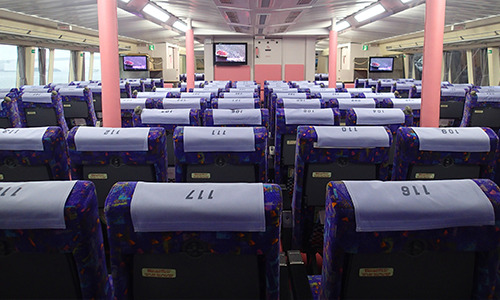 Automatic adjustment of the ship’s hull’s stance throughout the trip maintains the optimum ship stance and achieves remarkable riding comfort. Moreover, in an emergency the vessel is capable of coming to a complete stop in as short a distance as a braking car. Flies over the water at ultra-high speed. And without bouncing. 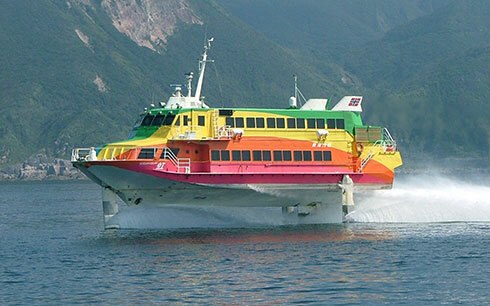 The high-speed jet ferry Seven Islands is elevated right out of the water by the force of the hydrofoil wing. 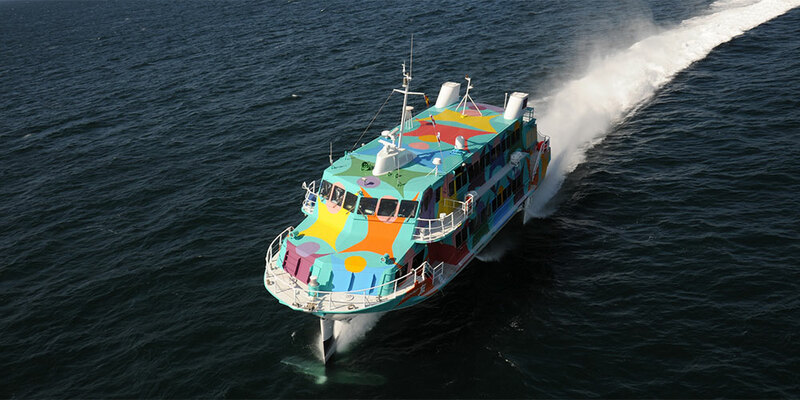 This reduces the resistance of seawater on the ship’s hull, enabling a top speed of 80km per hour. At the same time, the ship is almost unaffected by wave action and barely bounces at all. 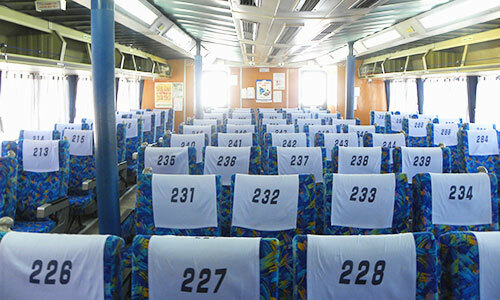 It is thus very friendly to people with seasickness.